In current day SEO, content is more vital than keywords and the measurement of performance is done by few keyword phrases and terms which are searched by a user. Though you don’t need to follow the changes in algorithm for particular reasons and take into account the variations to fight for a position against your competitors, yet you still require caring about both authority and relevancy. The level of relevancy between the content and the matter of the subject and the ambiguous nature of the meaning of context actually have led to lose SEO strategies which require staying dedicated to on-page optimization. You are then subject to the decision of analyzing the priority of the content, how you can organize the content and how you can build the content to rank for more than one keyword for meeting your conversion goals. Check out the current optimization techniques which have kept on changing with time. Once you’ve set your goals for conversion, organized your Google analytics and carried on your keyword research, you’re all set to organize keywords into any sort of meaningful topic. You may find sets of phrases and terms related to a similar topic and even when you group them, you won’t require doing stemming or utilizing literal variations. 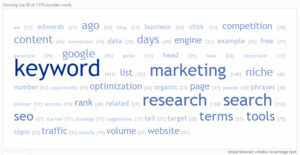 However, you should know the particular sets of keywords which are associated with the topic. While you run an e-commerce site, this categorizes into terms for the relevant and usual topics of the industry which sells products. You should know where your position is with your site’s content and have a well-built plan to fill gaps but all this won’t take you far unless you understand that you should figure out the way in which you can coordinate the content. You should balance user experience, prioritize services and products and topical keyword research volume, build hierarchy of your site and cover the general topics. It has been noted that majority of the sites have already build in this natural way. When SEO is not involved, site structure and navigation is decided by an organizational view. It is alarming to note that there are several SEO campaigns which have kept on neglecting the on-page optimization basics. The best on-page optimization basics still apply and you will need to move in deeper than producing relevant content and coordinating it till the bottom of the site. Whenever you’re building enough contexts for Google and the user, you need to make sure there is proper categorization. Ultimately what you would want is to offer a poor user-experience which will repel you visitors. When everything else seems to be perfect, you have to start spending more time in nitty-gritty details of optimization while you may also check how they affect your rankings. When the information that you put in is in perfect alignment with your content building strategy and when you’re perfect from the standpoint of an on-page optimization, you can focus on fine details and changes to single variable testing. Would you want to be inexperienced in your approach? It is vital to keep in mind the remaining SEO strategy which includes authority aspects which work along with relevancy which you’ve already built. Therefore, when you have a website which is perfectly balanced with timeless and high quality content, you will be sure of attracting links from one page to another. You can utilize off-page strategies for ranking which are directed to relevant topics within the website, shifting the intention of the page in determination of the search engines from one topic to another.